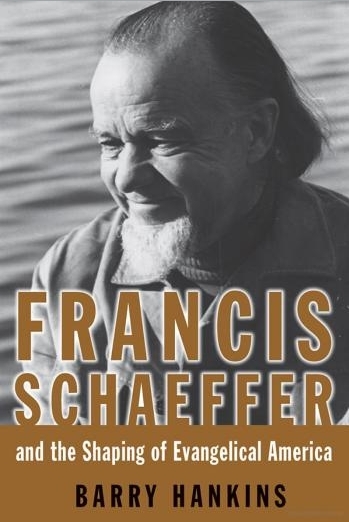 Continuing the Eerdman’s Library of Religious Biography series (edited by Mark Noll, Nathan Hatch and Allen Guelzo), Francis Schaeffer and the Shaping of Evangelical America seeks to provide a ciritical biography of this noted evangelical figure. Francis Schaeffer (1912-1984) was probably the single greatest intellectual influence on young evangelicals of the 1960s and ’70s. He was cultural critic, popular mentor, political activist, Christian apologist, founder of L’Abri, and the author of over twenty books and two important films. It is impossible to understand the intellectual world of contemporary evangelicalism apart from Francis Schaeffer. Barry Hankins explains how Schaeffer was shaped by the contexts of his life — from young fundamentalist pastor in America, to greatly admired mentor, to lecturer and activist who encouraged world-wary evangelicals to engage the culture around them. Drawing extensively from primary sources, including personal interviews and materials housed in the Wheaton College Archives & Special Collections, Hankins paints a picture of a complex, sometimes flawed, but ultimately prophetic figure in American evangelicalism and beyond. This volume should provide more information into the life of Francis Schaeffer–in addition to the recently published Crazy for God, the autobiography of Frank Schaeffer, Francis and Edith Schaeffer’s son.